My migration to Microsoft Teams only mode happened over a week ago, I was sitting in Islands mode and wanted to move to Teams only mode and bring over all my 60+ federated contacts. 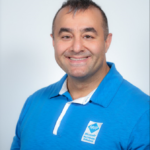 Prior to making the move, I wanted to make sure that I had a backup of my contacts so I used fellow MVP and https://O365eh.com co-host Michael LaMontagne’s script to export my contacts to a CSV file. 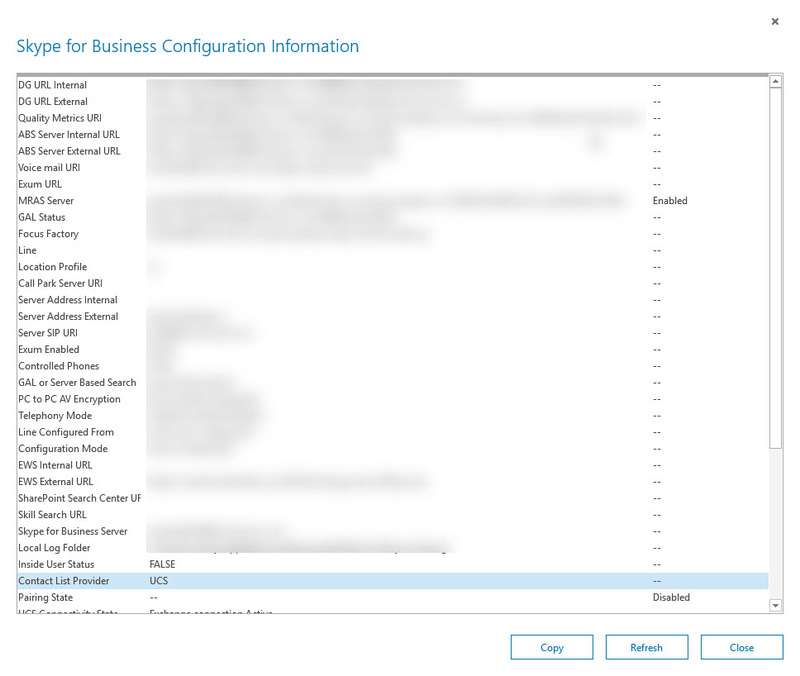 I spent a bit of time troubleshooting and asking colleagues from the MVP community and Microsoft and they pointed in the direction to check if my Skype for Business configuration was using the Unified Contact Store, which it should not. 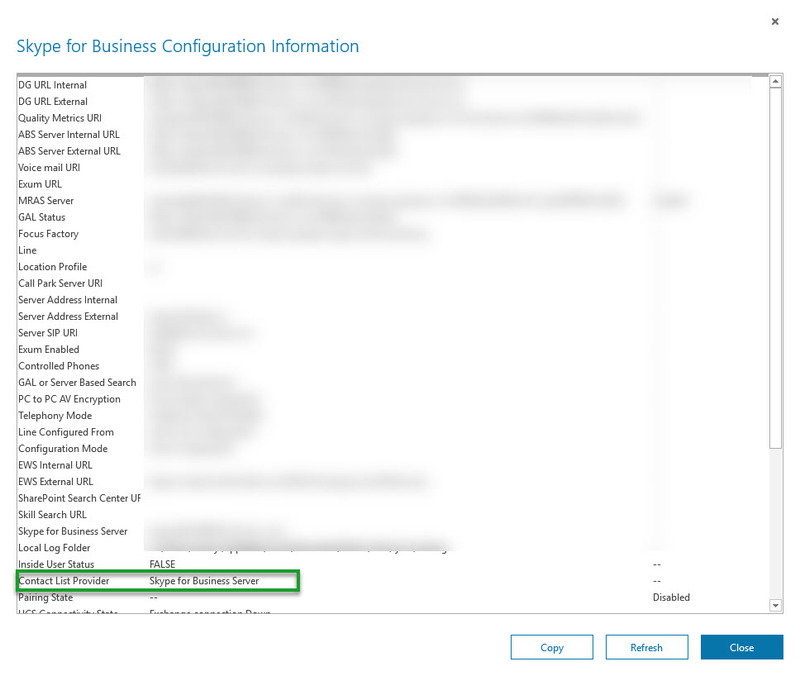 Once the command was completed I verified the Skype for Business Client configuration and it now showed that the Contact List Provider was set to Skype for Business Server. 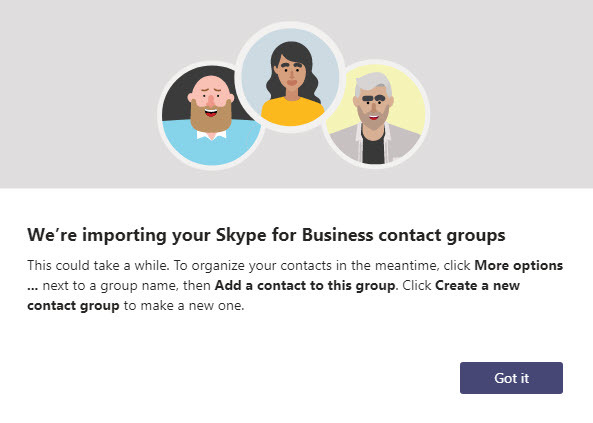 I logged into Microsoft Teams, however, the contacts were still not imported so I decided to wait for 24hrs in the event that replication needed to be completed so I’m not exactly sure what time the changes took effect. The next day when I signed into Microsoft Teams I received the exciting message below 🙂 that my contacts have come over WOOT WOOT !